Marchionne, a former tax accountant, took a bankrupt Chrysler in 2009 and merged it with Fiat to create one of the most successful automakers of the last decade. 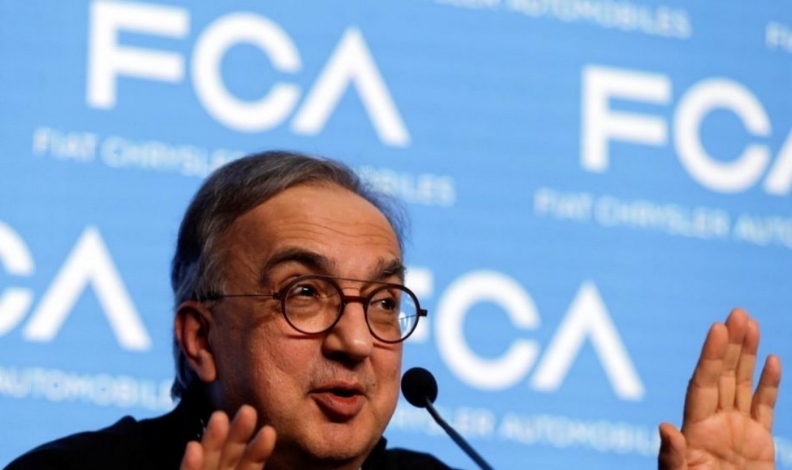 Former Fiat Chrysler Automobiles CEO Sergio Marchionne is being remembered in Canada as a man who gave his dealers confidence and hope during a time of great uncertainty. Marchionne died Wednesday, according to a statement from FCA Chairman John Elkann. He was 66. Marchionne became gravely ill after what the company has called shoulder surgery, forcing him to be replaced as CEO of Fiat Chrysler Automobiles on July 21. The company appointed Mike Manley, 54, head of the automaker's Jeep and Ram brands, as Marchionne's successor. The automaker Wednesday reported net cash of US$533 million, fulfilling Marchionne’s promise to relieve the company of its debt. Bill Johnston, a fourth-generation auto dealer from Hamilton, Ont., and head of the FCA dealer council in Canada, met Marchionne on several occasions. He attended the company’s November 2009 conference at Chrysler headquarters in Auburn Hills, Mich., where Marchionne laid out the newly formed automaker’s business plan. Johnston, whose grandfather started the family business in 1923 — which later became a Chrysler dealer in 1933 — met and dined with Marchionne a few more times after that initial business plan was released. At a dinner five years ago, Johnston took a moment to tell Marchionne how much he appreciated his leadership. Fiat first bought a stake in Chrysler in April 2009, during the height of the recession. Total Canadian sales of Chrysler's domestic brands, Fiat and Alfa Romeo, grew to 267,052 vehicles in 2017 from the 204,955 units it sold in 2010. That marked a 30.3 per cent increase over that time period. Windsor, Ont., Mayor Drew Dilkens on Wednesday ordered the city's flags fly at half staff to honour Marchionne. Chrysler and Dodge minivans have been built for 35 years in Windsor, where FCA — under Marchionne's leadership — recently spent about $2 billion on retooling the plant. "Today we mourn the loss of someone who left a lasting legacy in our community. I've ordered flags at all City of Windsor locations to be lowered to half-mast in honour of the commitment and dedication shown by Sergio Marchionne to the City of Windsor and our residents," the mayor tweeted. "Our community thanks you and we send our deepest condolences to your family." A book of condolences will be available in the lobby of Windsor City Hall for anyone wishing to express their thoughts and sympathies. Flavio Volpe, head of the Canadian Automotive Parts Manufacturers Association also heaped praise on Marchionne.